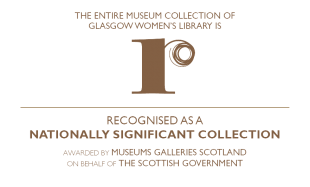 The Library has grown and developed through ongoing on partnerships and collaborations with a wide range of organisations, groups and individuals. Over the years it has enjoyed working with many cultural and arts organisations: for example, StreetLevel Photoworks, Glasgow’s Gallery of Modern Art, the Collective Gallery (Edinburgh), Pilton Video project (Edinburgh) and more recently with the Centre for Contemporary Arts. We have also benefited from working with equalities groups and projects including: Ankur Productions, Glasgay!, the Glasgow Integration Network, Coalition for Racial Equality and Rights (formerly Glasgow Anti Racist Alliance) and the former Equal Opportunities Commission. We have developed strong links across the education sector locally, nationally and internationally including collaboration and partnerships with University of Glasgow (Gender Studies Department, Department of Adult and Continuing Education, History Department etc. ), WEA, YWCA, Stow College, Glasgow Clyde College and international institutions including placements and internships from the Sorbonne, Paris and Humboldt University, Germany. Strong links with voluntary sector and statutory organisations are vitally important to our ongoing work and we have enjoyed fruitful collaborations and work with Pollokshields Development Agency, the Wayside Centre, Move On, Cornton Vale and Greenock prisons, Amina, the Muslim Women’s Support Project and many other projects and groups. We are a natural partner for many women’s projects and are the first port of call for information on women in Scotland. We have worked with women’s projects across Glasgow and Scotland including the Scottish Women’s Aid network, Dundee Women’s History Project, the Glasgow Feminist Network and many others. More information about current partnerships is available here, and more information about some of the individuals we have and continue to work with is available here.